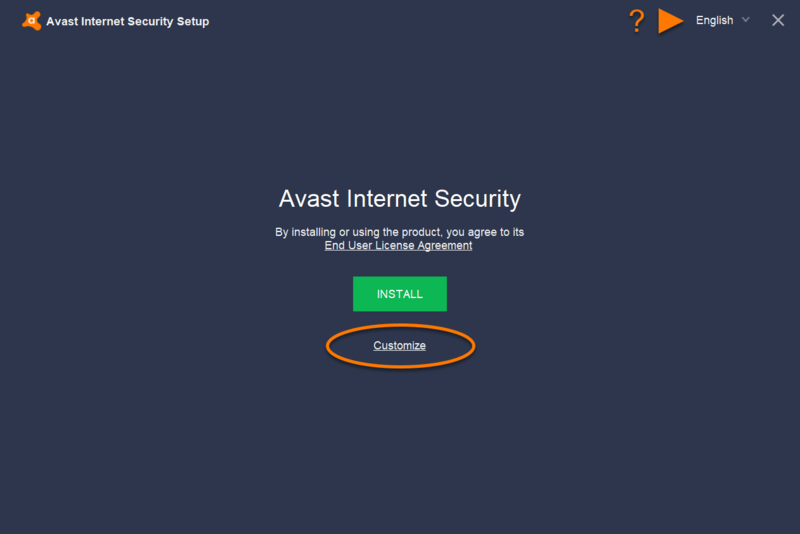 Avast Internet Security is an advanced security software that prevents viruses, spyware, and other malicious threats from infecting your PC. Additionally, it protects you and your data against dangerous fake websites, ransomware, hackers, and spammers while you are online. Log into Windows as a user with administrator permissions and ensure no other application or antivirus software is running on your PC. 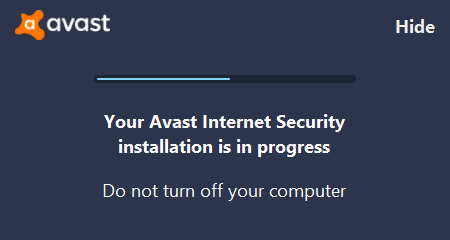 Right-click the downloaded setup file avast_internet_security_setup_online.exe and select Run as administrator from the context menu. 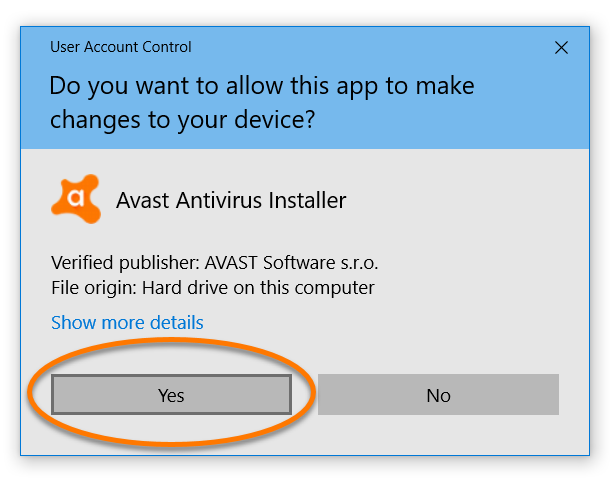 If prompted by the User Account Control dialog for permissions, click Yes (or Continue on older versions of Windows). To change the default setup language, click the current language at the top-right corner of the screen. Then click Install to proceed with default installation. To change the default setup language, click the current language at the top-right corner of the Avast Setup screen. Select Customize to proceed with custom installation. 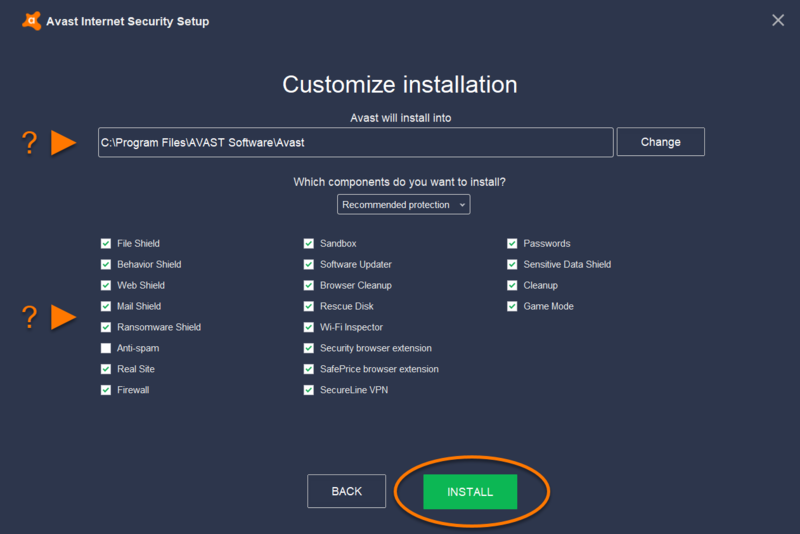 Click Change to manually select your preferred location for saving Avast Internet Security program files, then select or deselect program components to install, and click Install. 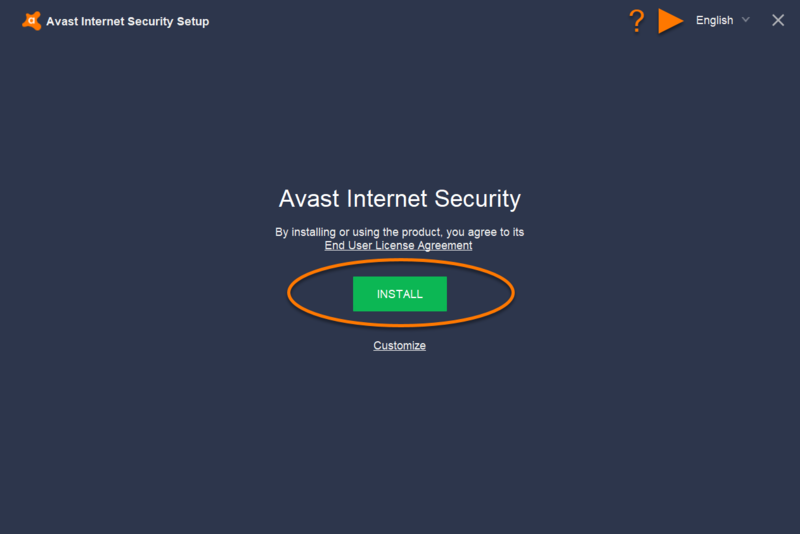 Wait while setup installs Avast Internet Security on your PC. Click Continue on the screen below the message You are protected. 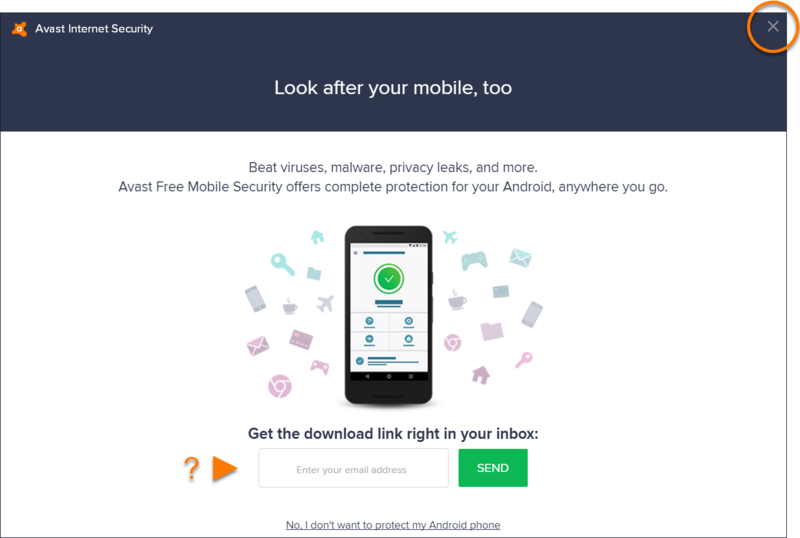 If prompted to protect your mobile device, use the relevant options according to your preference, or click the X icon to close the screen. Private Network: if you trust the network (for example, your home network). Public Network: if the network is publicly shared (for example, the network at a cafe or airport). 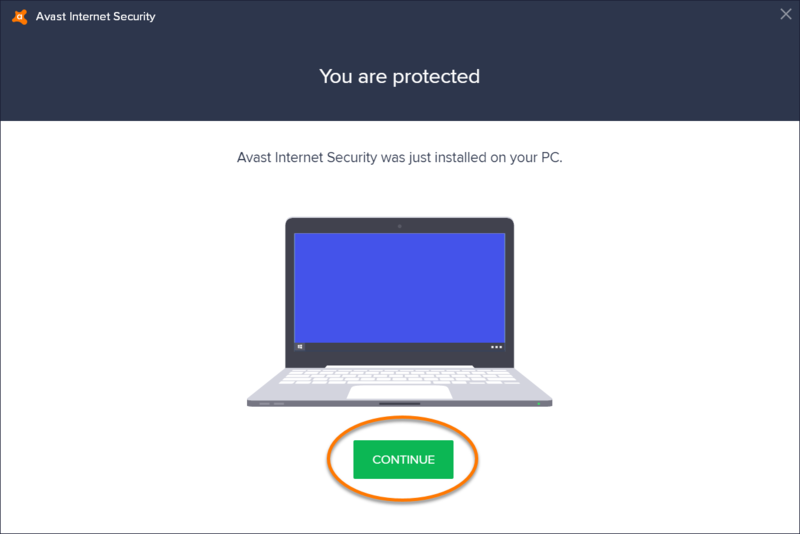 Avast Internet Security is now installed on your PC and ready to use, but some components may not fully function until you restart your PC. 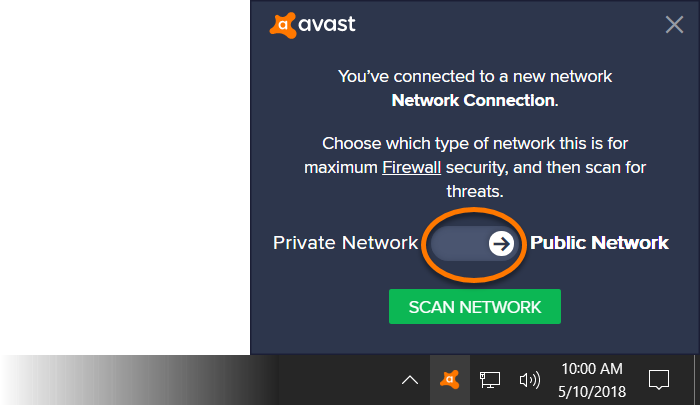 The Avast user interface is accessible via the Avast system tray icon on your Windows taskbar or the Avast Internet Security icon on your desktop. Ensure your PC meets the minimum system requirements and your Windows is up to date. 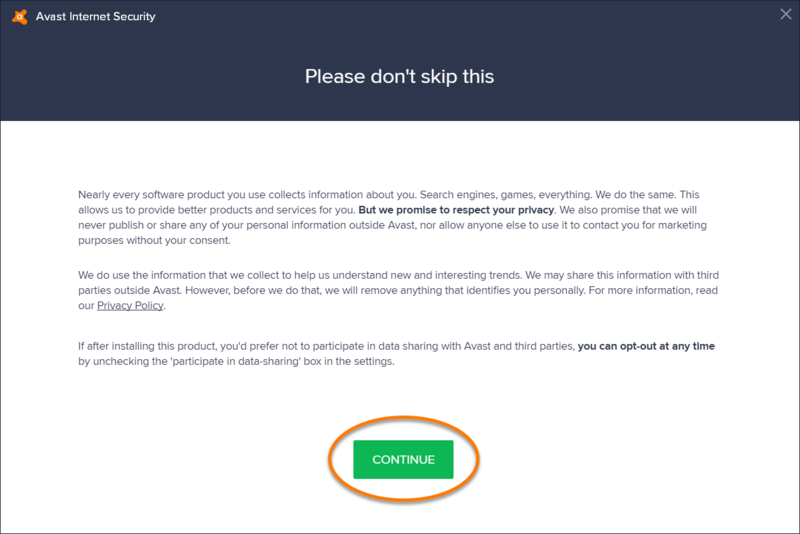 Restart your PC, and try again to install Avast Internet Security by following the instructions in this article.